Doctor Who – The Beast Below was written and produced by Steven Moffat with John Richards performing editing duties. First broadcast on BBC 1 10th April 2010. 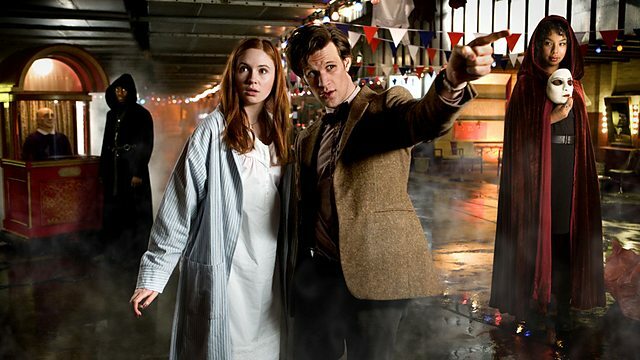 Matt Smith stars as the Doctor with Amy Pond, his companion. They time travel into the far future and arrive on a spaceship named Starship UK, on which the population of Britain has boarded to escape killer solar flares back at home. They discover that the star ship holds a secret. Instead of being powered by an engine, it is actually an imprisoned Star Whale that is guiding it. The Doctor has to make a choice does he save the humans and allow the torture of the Star Whale to continue or does he free the whale?